This week we are trialling something new, we are transitioning from a middle of the day nap to an afternoon nap (I say we I do no sleeping but E and M do, most of the time!). We have successfully completed two mealtimes without faces down in their lunch and they currently are snuggled up in their cots. I am exhausted… who knew that a couple of extra hours with two one year olds would be so tiring. So this week I am trialling something else new, a naptime treat, an hour of time for me. 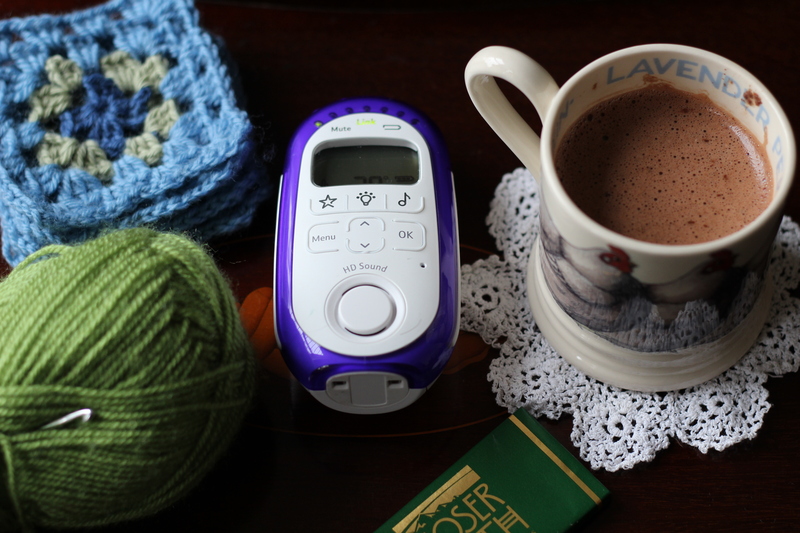 Today it is a bit of blogging, ‘Sewing Bee’ on the TV, crochet granny squares on hand, a bit of dark mint chocolate and a hot chocolate.